Sacha Baron Cohen is to be presented with BAFTA LA’s Charlie Chaplin Britannia Award at a ceremony on November 9. Sacha Baron Cohen, 41, who hit the international stage playing comedy characters Ali G and Borat, has since starred in Les Miserables and Martin Scorsese’s Hugo. The actor recently pulled out of playing the late Queen frontman Freddie Mercury. Also being honored is Sherlock star Benedict Cumberbatch, who will be named British artist of the year. George Clooney is being presented with the Stanley Kubrick award for excellence in film, Zero Dark Thirty director Kathryn Bigelow will accept the John Schlesinger award for directing and Ben Kingsley is being honored with the Albert R Broccoli award for his contribution to entertainment. 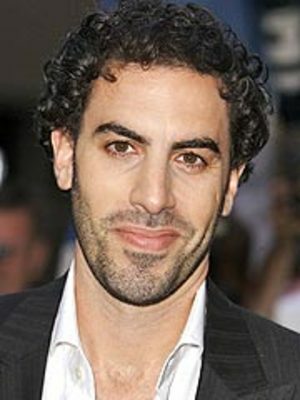 Sacha Baron Cohen has previously won two BAfta TV awards for Da Ali G Show, which he starred in and co-wrote. His 2006 film Borat: Cultural Learnings of America for Make Benefit Glorious Nation of Kazakhstan won a Golden Globe and received an Oscar nomination for best adapted screenplay. British Sacha Bron Cohen is married to The Great Gatsby actress Isla Fisher, with whom he has two children. The BAFTA LA awards lunch will be shown on in the US on BBC America on November 10.